The Pont des Arts bridge in Paris, France is a popular destination for tourists in love. Couples bring locks engraved with their names (or drawn on with a sharpie), lock them to the bridge, and throw the key into the River Seine – a symbol of everlasting love. While it may seem like a harmless gesture, the Pont des Arts is currently buckling under the weight of thousands of locks. Now Paris needs to decide if the locks should stay or go. It is a sticky debate. On one side, the bridge is a UNESCO heritage site that warrants protection, but the locks also bring tourism and revenue to the city and vendors selling the locks. 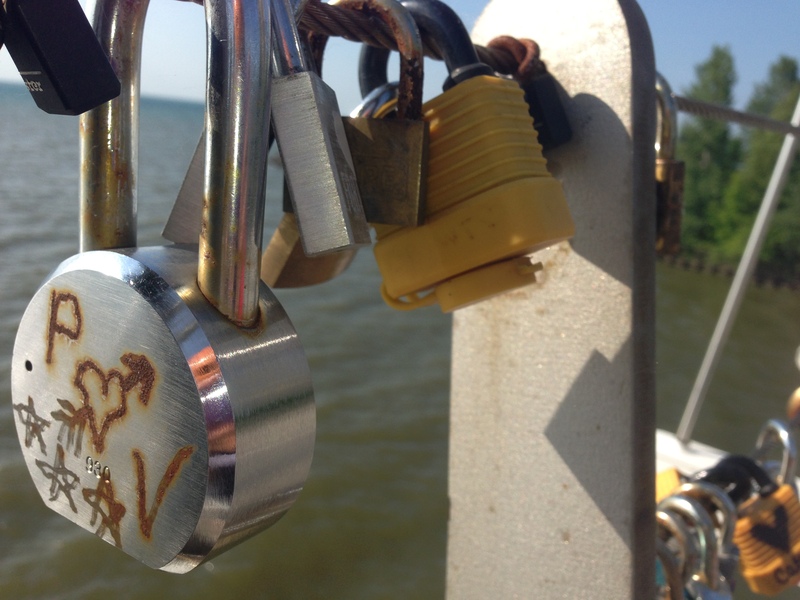 I recently discovered that the love lock tradition has migrated across the Atlantic. 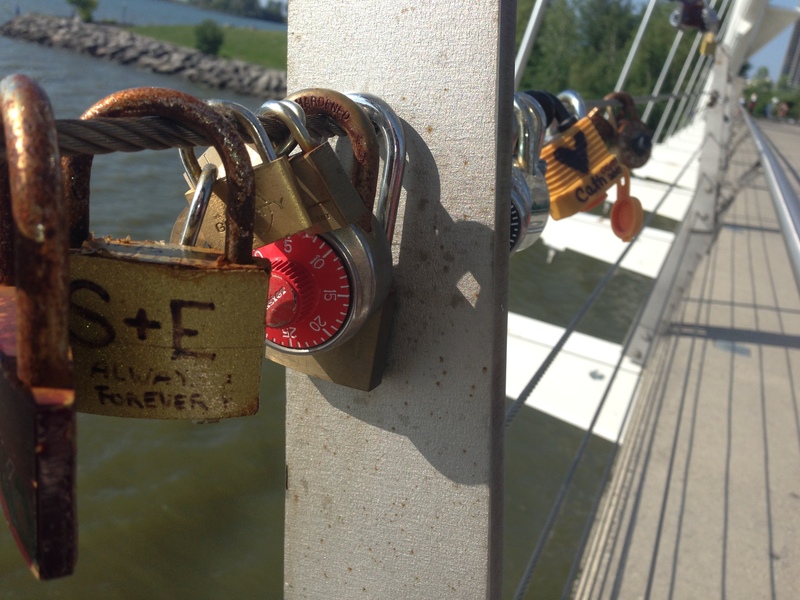 Toronto romantics are declaring their eternal devotion to their partner in their own city on the Humber Bridge. I often start my weekend mornings off with a bike ride along Toronto’s waterfront from Exhibition Place to the Humber Bridge. The bike path hugs Lake Ontario, offering beautiful views and fresh air. Personally, I love that there are few required stops, so I can get a good bike groove on. I have done the ride many times in the past two years, but have only recently noticed the “love locks” appearing on the Humber Bridge’s railings. My guess is that there are about 100 locks on the bridge so far, and there seem to be more and more each time I visit. 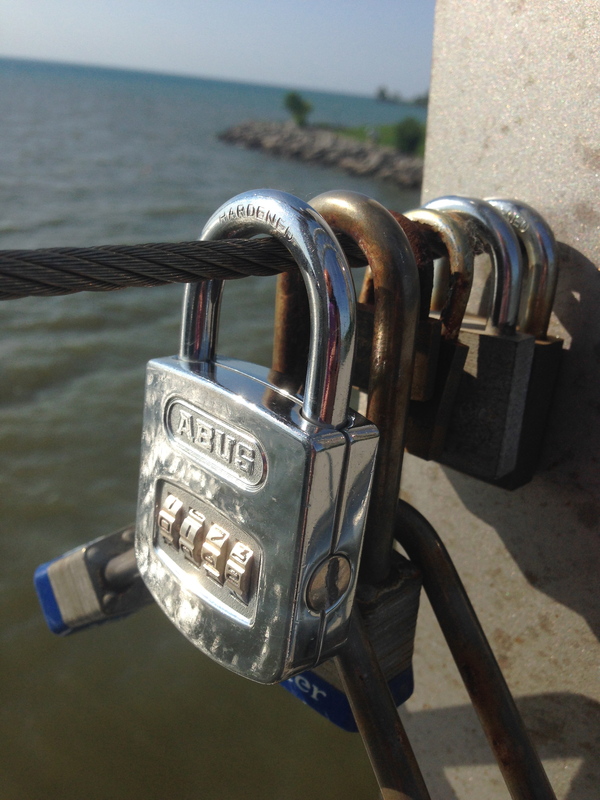 A few non-committal couples chose a combination lock – just in case they have second thoughts. 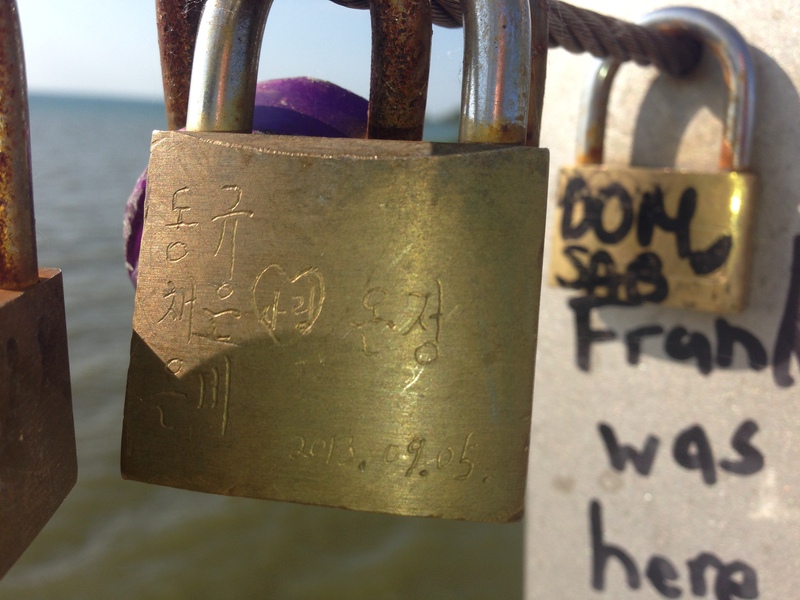 Should the buckling Pont des Arts’ serve as a warning to Toronto? Will the Humber Bridge, which I can only assume attracts less tourists than the Persian version, withstand the weight of fewer locks? Only time will tell. The truth is that you don’t need an engraved lock to have a romantic time, The Humber Bridge has always been an amorous place to visit. 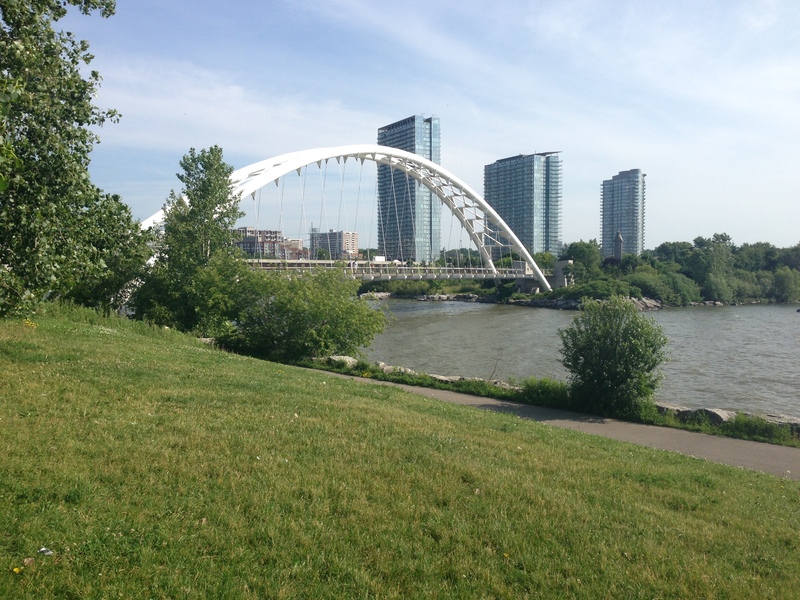 After a walk along the bridge, you can have a picnic in the nearby park and watch the sun rise or set over the Toronto skyline. All things considered, it is not so surprising to find padlocks scattered along the railings, but maybe we should put a pause on the locks and just enjoy the bridge for its naked beauty. I am curious to see if the love locks will catch on. I just hope it doesn’t become too popular, as I don’t want the Humber Bridge to buckle – then where will I go for my morning bike ride? They actually started doing this on our new pier that overlooks the waterfront in downtown Burlington, although I think the city has been cutting them off. After spending so many millions of taxpayers dollars on the pier they probably don’t want it buckling too!